I had a music teacher once tell me that nostalgia was a double-edged sword for an artist. While looking wistfully to the past could easily send a musician down a rich vein of inspiration, it could also become a highway straight to stagnation and repetition — two of a songwriter's main enemies. Patrick Crowley, front man and songwriter for Deep River Saints, has approached the subject with a different mind set. 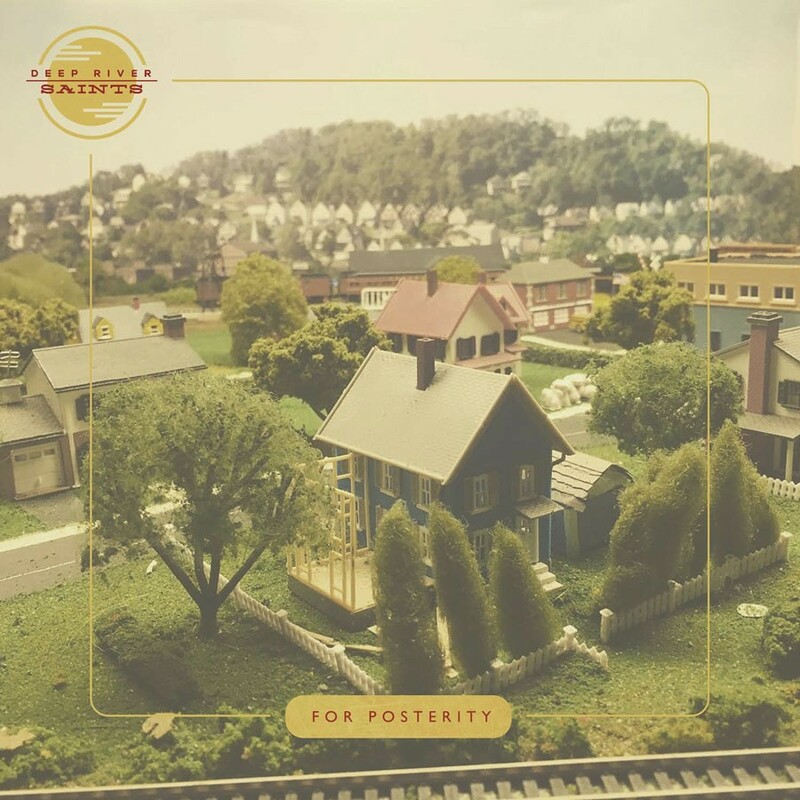 The band's newest release, For Posterity, is a testament to nostalgia and all that it brings. Over 14 tracks of psychedelic-tinged Americana, Crowley takes a long look back. Fortunately for the listener, not a moment of his reverie feels stale. Album opener "You May Proceed" sets an expansive mood. Chimes, reversed tape noise, a delicate scrape on a string and a looming sense of catharsis blend until Crowley begins to sing about a "clear water dream" with his delicate, searching voice. Crowley, formerly of California rockers Cities on the Moon, brought in producer and virtuoso guitarist David William Ross to produce the record. Together they have created quite a sonic blend. Ross does more than simply produce. He uses his deep background in classical, jazz and experimental music to layer For Posterity in gossamer. Ross weaves a foundation of lush beauty and haunting sounds that give the record a clear character. He also picks up his Stratocaster on occasion and rips it when the mood strikes. It can't be overstated how gorgeous the record sounds. It's a well-considered beauty as well, rich with expertly crafted tones meant to match the colors with which Crowley paints his songs. "Saved by the Asphalt" is a lovely testament to that approach. "One by one we counted stars in the sky all night / Silhouettes cast dark in the sunrise just right," he sings over acoustic guitar plucked like a ticking clock. As the gates of his memories swing open wide, so too does the music. The band assumes a relaxed country groove while organ and pedal steel swirl — courtesy of Josh Evans and Reilly Graham, respectively. In Vermont, alt-country is a rich and crowded field. Here, too, is a double-edged sword: All that talent makes it tough to stand out. Crowley has ability in spades, as well as originality. However, what sets his songs, and his record, apart is the heavy lean into psychedelic pastures. "Burgundy and Brick" and the two instrumental passages, "Nighthawks" and "Nighthawks II," offer exquisite examples of how to use ambience and carefully placed noise to flesh out songs. The approach is especially effective on the sprawling epic "City of Fountains." Crowley begins by crooning over his guitar not unlike Kelly Ravin or Dan Zura — he's solidly in beautiful, country-tinged troubadour mode. Once the band moves in, the song morphs like a butterfly from a bluesy, pop-rock number into an almost Yes-like progressively pastoral outro jam. It's a colossally impressive song on a colossally impressive record. Deep River Saints celebrate For Posterity with an album release show on Friday, April 6, at Nectar's in Burlington. Preorder the record at deepriversaints.bandcamp.com.